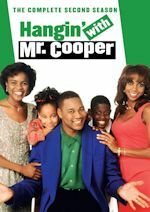 The two newest acquisitions on BET's spin-off network Centric will be getting marathon play the next two weekends! 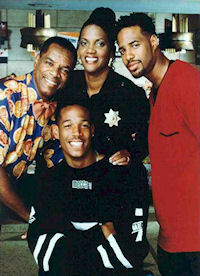 The sitcoms would be The Wayans Bros. and 227. 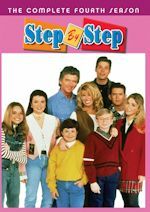 Both sitcoms joined the line-up earlier this month, as we mentioned. The Wayans Bros. will get a welcome marathon this weekend (Oct. 22-23). On Saturday the marathon will run from 12pm-10pm and more from 11pm-2am. Then on Sunday the marathon will encore from 9am-9pm with nearly all of the episodes from Saturday airing. As for 227, that marathon will air next weekend (Oct. 29-30), child. It is a marathon of all season one episodes, with the first 14 airing on Saturday from 11am-6pm. The first 14 will encore the next day from 9am-4pm, before the remaining first season episodes air from 4pm-8pm. That may be Halloween weekend, but you can all dress up like Sandra! 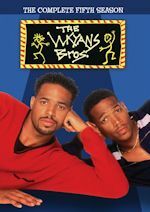 The Wayans Bros. regularly airs on Centric weekdays from 1-2pm & 11pm-12am, while 227 has morning play from 11am-12pm. 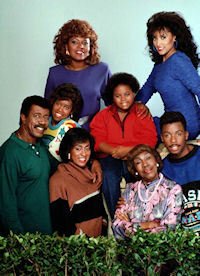 Stay with us for continued updates on these sitcoms and Centric. Bryan Cranston (Malcolm in the Middle) - Watch Bryan on the Late Late Show with Craig Ferguson at 12:37am on CBS. Kat Dennings (2 Broke Girls) - Kat appears on Chelsea Lately on E! at 11pm. Eric Stonestreet (Modern Family) - Eric stops by Conan at 11pm on TBS. Sean Hayes (Will & Grace) - Sean is a guest on The Ellen DeGeneres Show, so check listings. Don Rickles (C.P.O. Sharkey/Daddy Dearest) - Catch Mr. Warmth on the Late Late Show with Craig Ferguson at 12:37am on CBS. 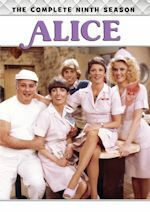 Alan Alda (M*A*S*H) - Alan drops by The View on ABC at 11am ET/10am CT-PT. Téa Leoni (The Naked Truth) - Téa appears on LIVE! with Regis & Kelly, so check your listings. Bob Newhart (The Bob Newhart Show/Newhart) - Bob visits The Rosie Show at 7pm on OWN. Tracy Morgan (30 Rock) - Tracy stops by The Rosie Show at 7pm on OWN. Christina Applegate (Up All Night/Samantha Who?/Married with Children) - Christina talks about Up All Night on Today on NBC between 7-9am. Paul Scheer (The League) - Watch Paul on Conan at 11pm on TBS. Jane Levy (Suburgatory) - The breakout star of Suburgatory appears on ABC's Good Morning America between 7-9am, then chats with the ladies of The View at 11am ET/10am CT/PT, and finally appears on The Chew on ABC at 1pm ET/12pm PT/CT. How great would it be to see Amy Davidson on Suburgatory? Patricia Heaton (The Middle/Everybody Loves Raymond) - Tune in to see Patricia on The Wendy Williams Show at 12am on BET or on your local stations. Ana Gasteyer (Suburgatory) - Ana is a guest on The Talk on CBS at 2pm ET/1pm CT-PT. Kunal Nayyar (The Big Bang Theory) - Kunal visits the Late Late Show with Craig Ferguson at 12:37am on CBS. Judith Light (Who's the Boss?) - Judith stops by The Gayle King Show at 10am on OWN. Danny DeVito (It's Always Sunny in Philadelphia/Taxi) - Danny appears on Today on NBC between 7-9am. Olivia Munn (Perfect Couples) - Watch Olivia on the Late Late Show with Craig Ferguson at 12:37am on CBS. Marlo Thomas (That Girl) - Marlo appears on Today on NBC between 7-9a. Chris D'Elia (Whitney) - Chris stops by Today on NBC between 9-10am.